Yes, conditions in Venezuela are bad. No, we shouldn’t intervene. 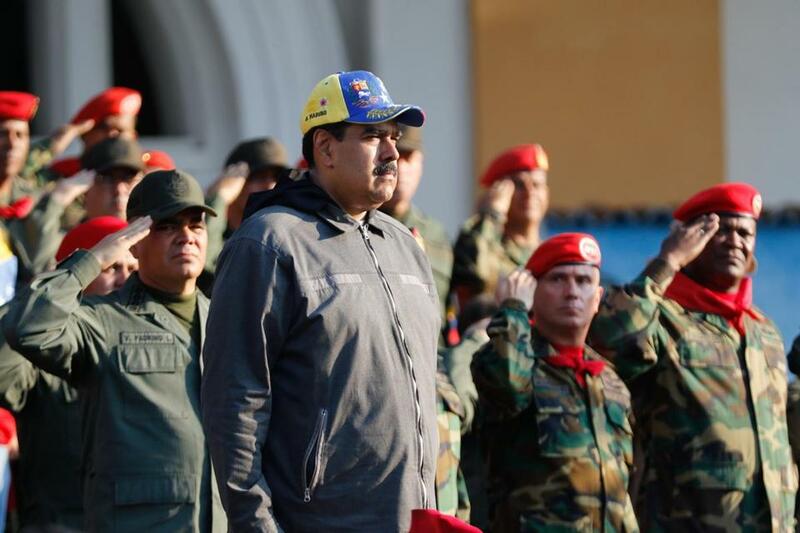 Venezuela&apos;s President Nicolas Maduro attended a military ceremony to commemorate the "27th Anniversary of the Military Rebellion of the 4FEB92 and National Dignity Day." Things are going badly in a Latin American country, but don’t worry — the United States wants to help. That news has been scaring Latin Americans for generations. Now, as the United States escalates its confrontation with Venezuela, it is once again flashing through the hemisphere. Few Americans could find Venezuela on a map. Suddenly we are being told that its people are suffering, and that we can improve their lives by overthrowing their government. 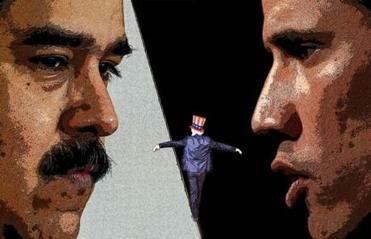 Violent intervention by the United States in Latin America is one of the central paradigms of 20th-century history. Guatemalans, Brazilians, Chileans, and Uruguayans can remember democracies that were crushed with support from Washington. Argentines, Bolivians, Paraguayans, Nicaraguans, and Cubans look back on tyrants imposed or embraced by the United States. We forget this history, but it lives in the hearts and souls of people in those countries. The United States has intervened in Latin America for shifting combinations of reasons, but the essential motive has almost always been the same. We want to assure that Latin American leaders will do our bidding. As the Soviets brooked no defiance from independent-minded Hungarians, Poles, Czechs, or East Germans, we brooked none from our Hispanic neighbors. Venezuela appeared on Washington’s radar screen after voters there elected a leftist president, Hugo Chavez, in 1999. Chavez became the new demon in our hemispheric cosmology, emerging conveniently to replace the fading Fidel Castro, who played the role so perfectly during the 20th century. Our long war against Castro, involving decades of armed attacks, sanctions and assassination attempts, bled nicely into our campaign against Chavez. After Chavez’s death in 2013 we transferred our enmity to his successor, President Nicolas Maduro. Endlessly frustrated that we failed to destroy either Castro or Chavez, we have adopted Maduro as our best remaining target. When it comes to Latine America, the United States rarely gets it right. The Trump administration has been tightening economic sanctions on Maduro’s government for more than a year. Recently it escalated the attack by selecting a little-known Venezuelan politician as his successor, and announcing that we now recognize the pretender as rightful president. The United States has anointed a new leader of Venezuela at the same time that Washington is in a fit of outrage over Russia’s attempt to influence our internal politics. With the same lack of self-awareness, our leaders bleed crocodile tears at suffering in Venezuela while blithely arming the government of Saudi Arabia as it relentlessly bombs civilians in Yemen. Stories about privation, hunger, and lack of medicine in Venezuela have burst into the US press — surprise! — just as our government decides that President Maduro must be deposed. Nonetheless the crisis is real. Conditions in Venezuela are awful. A United Nations rapporteur sent to investigate conditions there placed part of the blame on crushing American sanctions, which he called “economic warfare” and “crimes against humanity.” Maduro’s government is inept and larcenous. Only by ignoring more than a century of history, however, can the United States believe that our coercive intervention is likely to help. This is the question Americans should ponder when we consider intervening in Venezuela or any other country: not whether conditions there are bad, but whether our intervention will truly improve them over the long run. Venezuela is in trouble. It may need outside help. Mexico and Uruguay are seeking to mediate the crisis. They and other Latin countries could even reach the extreme of supporting the use of force. What might be appropriate for them to do would be morally and politically disastrous for the United States. Violent US intervention in Latin America has had terrible effects over the last 120 years. Nothing suggests that the result would be happier this time. By working with other countries, the United States can do much to support a peaceful settlement in Venezuela. Charging in on our own and expecting a good result would tempt history. This is a crisis for Venezuela and Latin America, not the United States. Stephen Kinzer is a senior fellow at the Watson Institute for International and Public Affairs at Brown University.